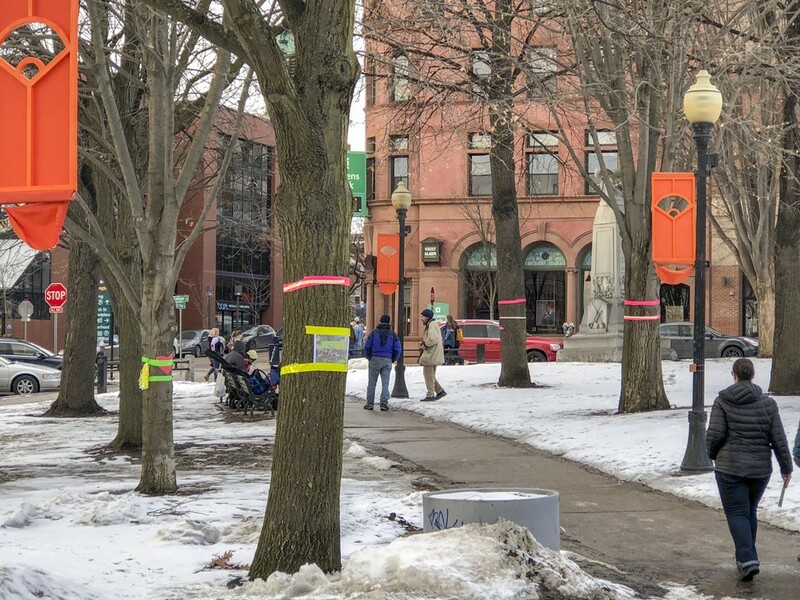 Vermont Photographer Carolyn L. Bates - Photographer's Blog - Carolyn Bates' Blog - New Plan for City Hall Park Will Remove 60% of the Trees. 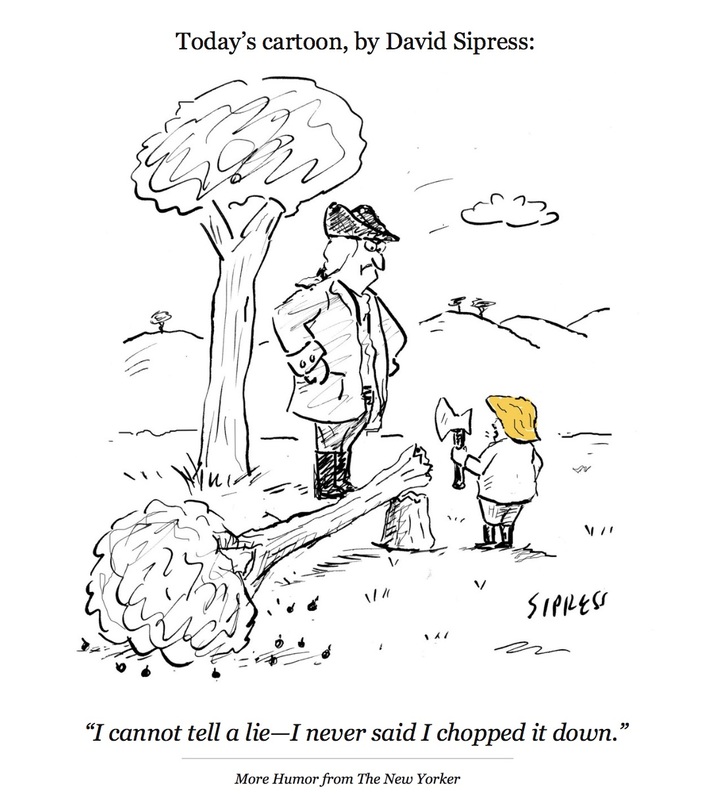 Please Help Save Our Trees! Read the latest from Carolyn in her blog! Photography, local events, Vermont happenings, and more. 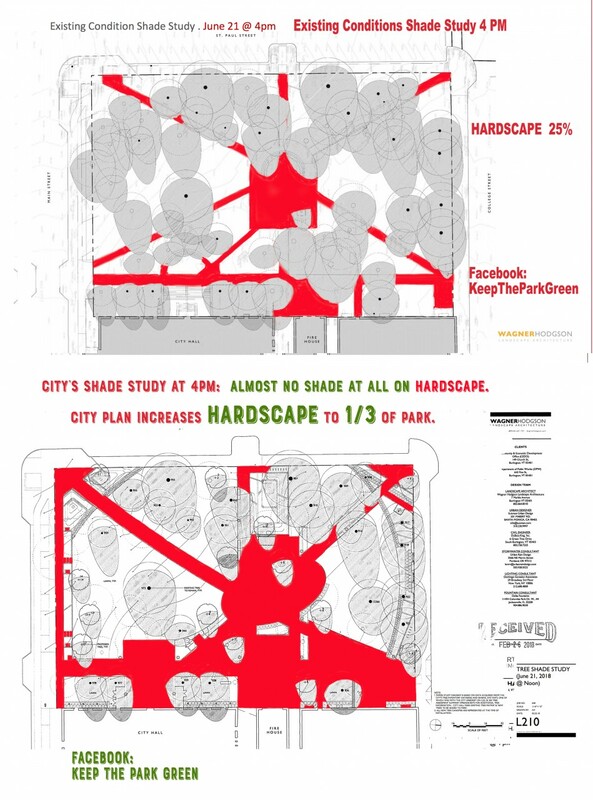 New Plan for City Hall Park Will Remove 60% of the Trees. Please Help Save Our Trees! 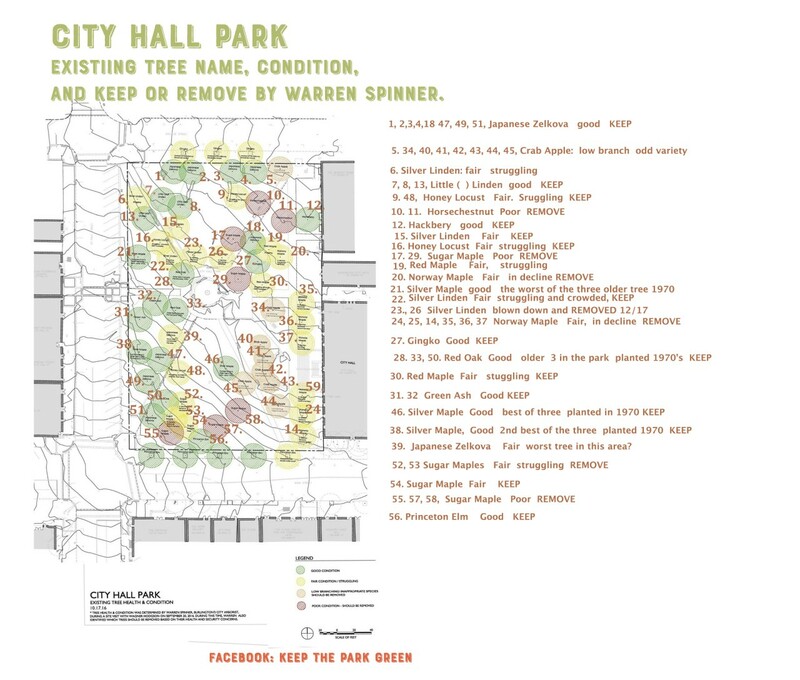 Do you want 39 of our remaining 56 trees taken down with the new City Hall Park redesign plan? 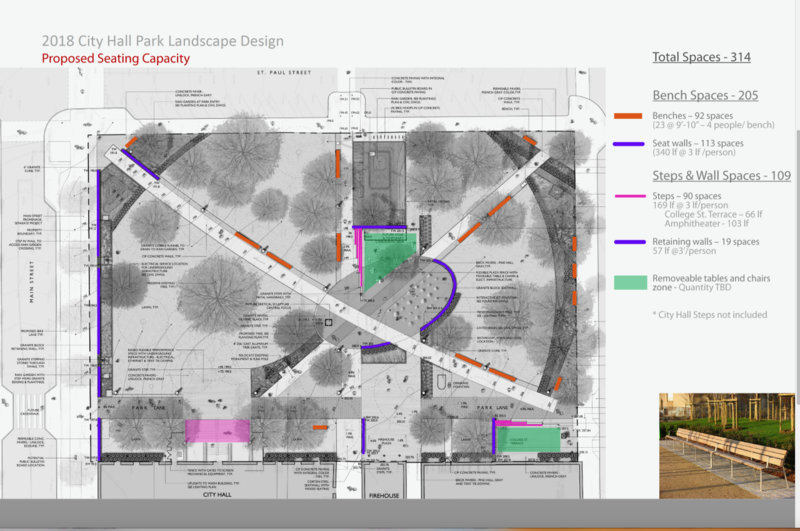 And 1/3 of the park to be impermeable hardscape? Do you want this historic fountain to be replaced with a concrete FLAT splash pad, that could be used as a shower with a potential huge liability? Do you want over $3MIL of tax payer money to be spent doing this? Wouldn't it be great to leave our trees, aerate and nourish them? 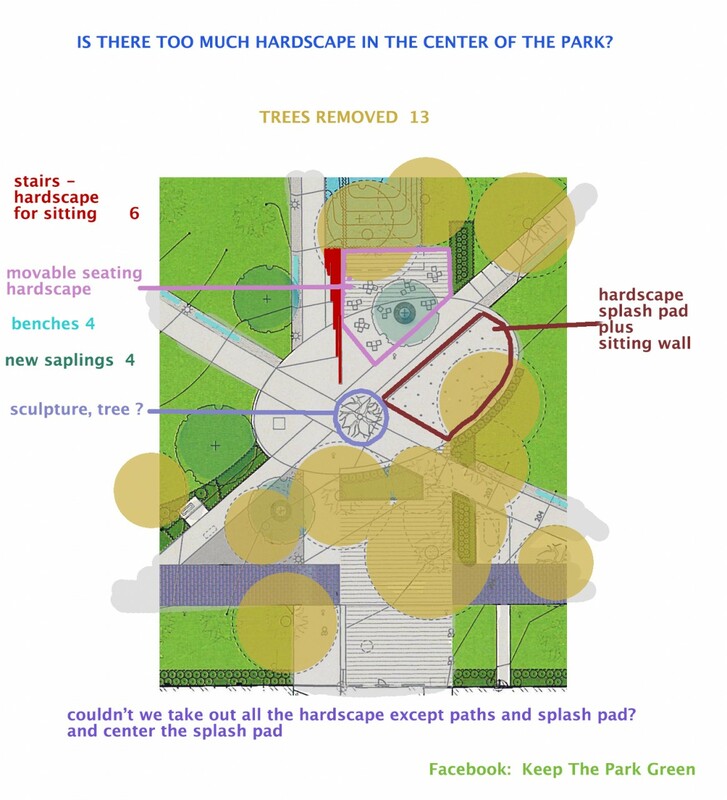 Now the City has revealed its final plan to “improve” the Park—and they plan to chop down OVER HALF of these trees! They plan put in just 12 small saplings in their place—saplings that would take decades to provide any shade. We need your help NOW. Visit us on Facebook to voice your concern and see upcoming events to participate in. 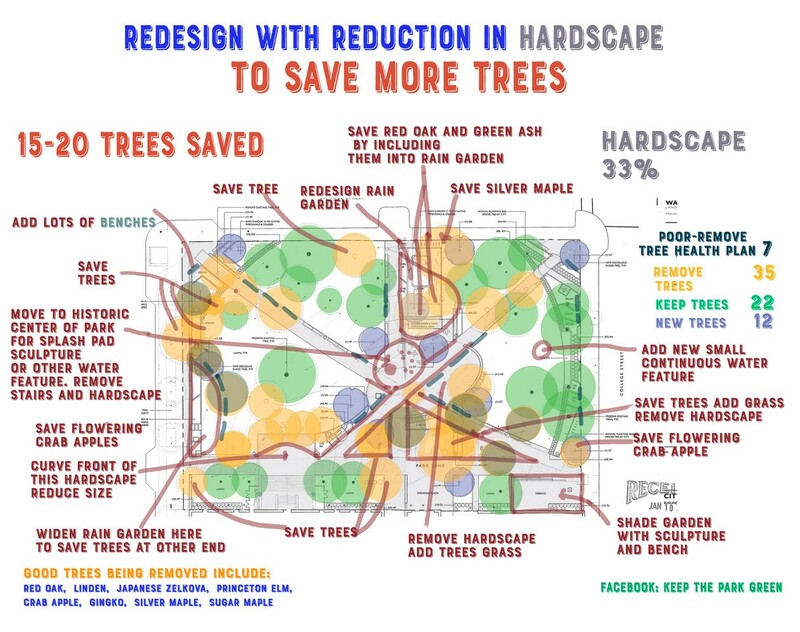 Tell them this plan is a terrible mistake, and they should care for our existing trees, not cut them down. Don't forget to tell all your friend to join in too! Thank you for your help in KEEPING THE PARK GREEN. Carina Driscoll, a candidate running for mayor of Burlington, Vt, does not approve of plan to cut down the trees. Monique Fordham talks about how this has not been a robust public process. Actually there has been NO public process as plan was posted Jan 10 of this year, and it still is not up on the website. Donna Walters talks about how you need shade to sit in. I have figured out a way to keep their basic design and save around 20 trees by merely reducing the hardscape which at this time covers one third of the entire park. See enclosed drawing. I used their tree planting plan as a base layer. 1. Use the historic park as a base, and move splash pad to center of park. Reduce the size of the fountain circle, and keep the surrounding gardens. 2. Keep spring in the park and keep the 8 crabapple trees for just 2-3 weeks of being Messy, they do not need to be removed, until you have sufficient flowering trees of the right species to replace them. 3. We do not need 1/3 of the park in hardscape. The existing one is 25%. 4. Remove rectangle of chairs, and put them all on the center circle w fountain add more trees around fountain, so some of it is shaded. 5. To increase seating as required by DAB. please add benches up and down all paths, just like it used to be. We do not need to have additional hardscape to do this. 6. Add the two trees being removed into the rain garden by St Paul St.
7. Reduce hardscape between fountain and BCA. 8. 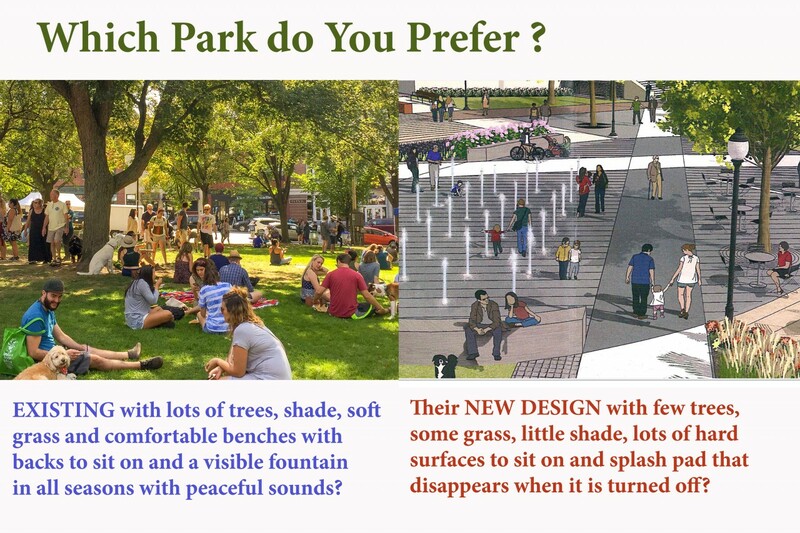 Change rain garden design on St Paul St, so we can keep the Silver Maple, a very beautiful tree, and the largest tree in the park. 9. Remove space for kiosk. 10. Remove terrace by RIRA. 11. Reduce size of concrete in front of city hall, you do NOT need multiple hardscape performance centers. 12. To help reduce the number of the drug dealers everywhere, please refer to Kesha Rams commentary on NPR Feb 19 at 5:50 pm about what Portugal has done. 13. To help reduce the homeless…please get COTS to be open from 7 am-6pm every day of the week. That way they can go to the overnight shelter and COTS without having to have many hours in between the two with no warm place to go. You Ask. 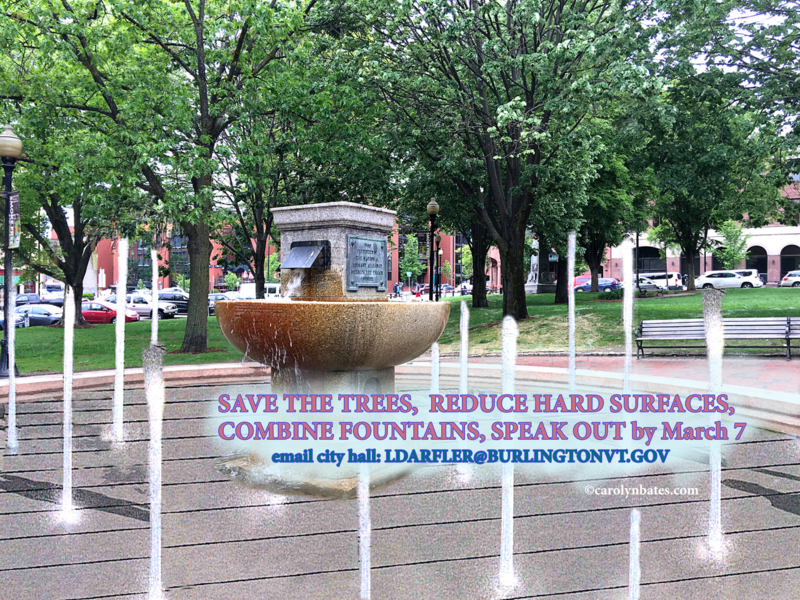 We Take Action: Will too many trees at Burlington's City Hall Park be removed? 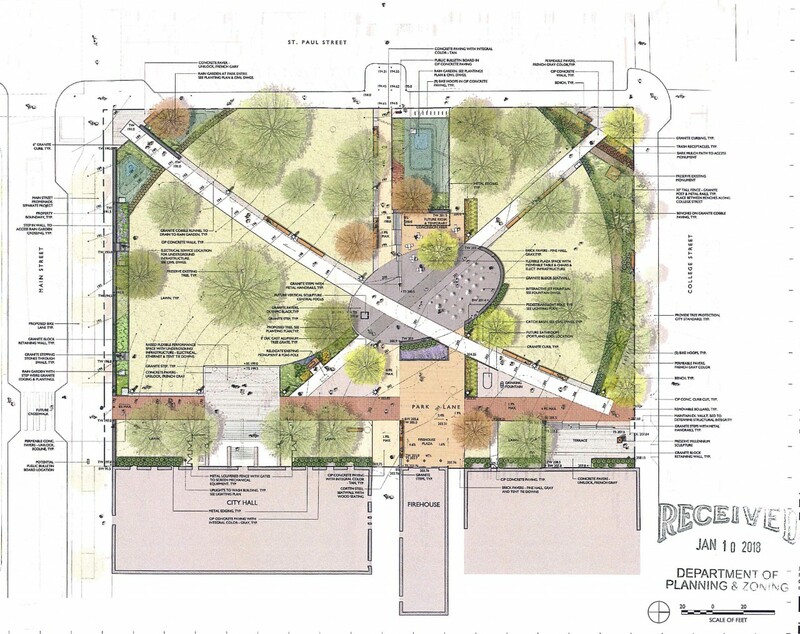 Burlington, Vt. - Come the 20th of February, the design & review board for Burlington will vote on the latest design of City Hall Park. A group of concerned citizens with 'Keep the Park Green' believe, the amount of trees on the chopping block is too high. 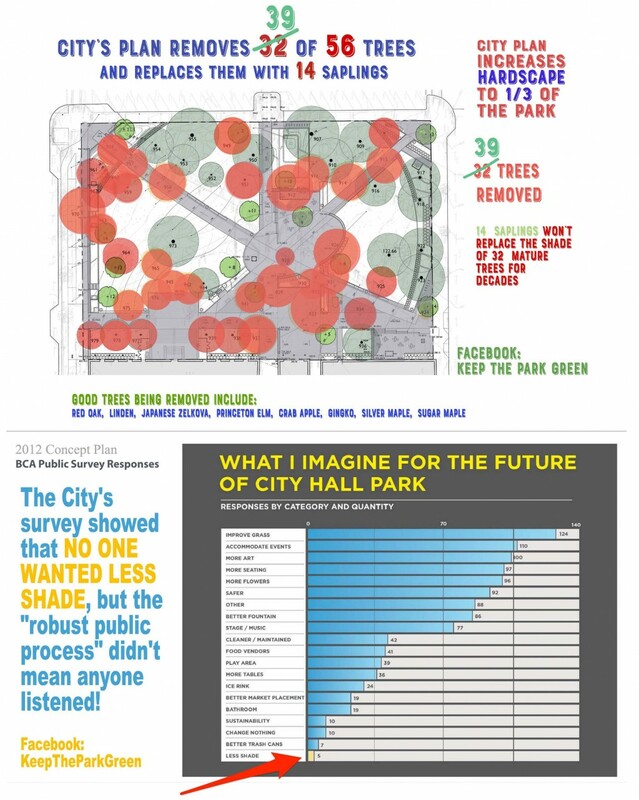 "The new park design does not incorporate our existing trees," said Monique Fordham with 'Keep the Park Green'. 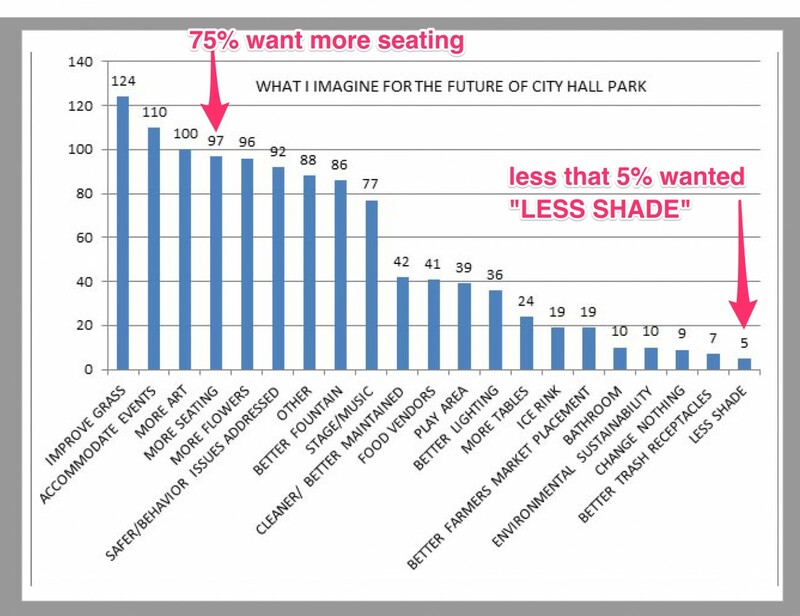 A coalition of twenty five active members that want to preserve Burlington's historic City Hall Park. the petals scatter in bright confetti on the grass. and with the same count of days as this tree. In fifty years, we each become useful; gracious. its one purpose, for every leaf and bud. begins with this maple tree. In 1983, City Hall Park Historic District, Burlington, VT was created by the National Park Service at the request of Mayor Bernie Sanders. Copyright © Vermont Photographer Carolyn L. Bates. All Rights Reserved.